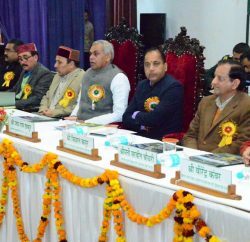 State Government aspires to transform Himachal Pradesh into an Organic Farming State in next five years. At Present, 39,790 farmers covering an area of 21,473 hectares have already switched over to organic farming so as to ensure production of healthy food grains devoid of harmful chemical ingredients. The State Government envisages adopting an integrated approach to achieve the objective by taking various initiatives for promoting Organic and Zero Budget Natural Farming System. Taking inspiration from Governor Acharya Devvrat and guidance from Agriculture Expert Padmashree Subhash Palekar, the State Government has introduced an ambitious scheme ‘Prakritik Kheti Khushhaal Kisaan Yojana ‘ with a provision of Rs 25 crore for the current financial year. The scheme envisions enhancing farm income in harmony with nature by adopting low cost climate resilient Zero Budget Natural Farming System. This system would not only improve soil fertility, water infiltration, porosity but also discourage the use of fertilizers and pesticides besides reducing environmental pollution. 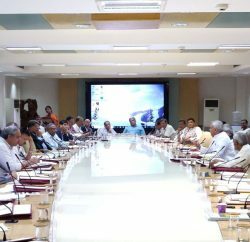 A State level Committee headed by Chief Minister, Ministers, HODs of Agriculture and allied departments as Members and Additional Chief Secretary Agriculture as Member Secretary would monitor implementation and progress under ZBNF at State level. A State Project Implementing Unit will be constituted in the Directorate of Agriculture. Likewise Units will be constituted at District and Block levels. The State level Task Force headed by Chief Secretary has already been notified for promotion of organic farming in the state. This would consider and approve all proposals related to implementation of Zero Budget Natural Farming. Capacity building and mass awareness are major components of the scheme for motivating maximum farmers to adopt Zero Budget Natural Farming. NGOs, farmer societies and agencies working in the field of natural farming or organic agriculture will also be involved in the Zero Budget Natural Farming promotion and certification. Progressive farmers will be selected per cluster, imparted training in Zero Budget Natural Farming and those who perform well could be resource persons at cluster level. Proposed clusters may include farmers who are not practising organic farming but they fall in the purview of proposed cluster to have 100 % coverage of farmers. Trained progressive farmers will motivate and provide hand holding support to other farmers in adoption of Zero Budget Natural Farming and would be supported by the district team. Farmers will be motivated to practise ZBNF in a smaller unit initially and may cover total area in a phased manner. Mass awareness programmes and ‘Kisan Goshtis’ will be organised by the department and district units upto block levels to educate the farmers. Resource persons/experts will be eligible for honararium. 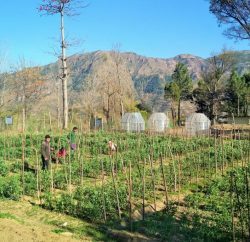 CSK HP Agriculture University and Dr Y S Parmar University of Horticulture and Forestry will develop package of practises for various crops after conducting trials. 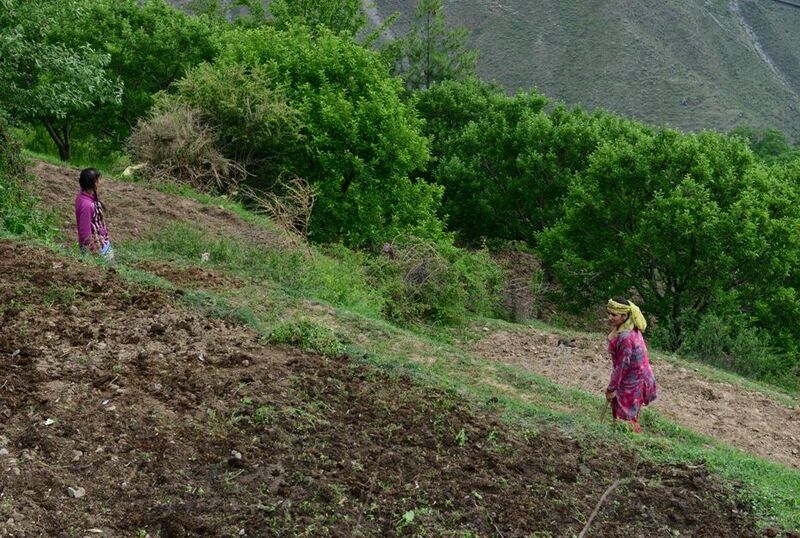 Location specific Zero Budget Natural Farming mixed cropping models will also be developed by both the universities. Zero Budget Natural Farming is totally based on domestic cow breeds. Availability of high yielding domestic cow breed germplasm would be ensured by Animal Husbandry department. Farmers will be provided incentives for establishing infrastructure for Zero Budget Natural Farming inputs. In order to ascertain availability of inputs, one shop per village will be facilitated. Practicing ZBNF farmer having Indian cow will be the owner of the shop and will sell ZBNF inputs to needy farmers on nominal cost. One time assistance of Rs 50,000/- per shop will be provided to the shop owner for procurement of external inputs, equipment, packaging, drums, containers, rent etc spread over three years. To facilitate efficient collection of cow dung and urine which are essential inputs of Zero Budget Natural Farming, farmers would be provided 80% assistance for lining of cattle sheds and construction of urine collection system. It is proposed to provide 75% assistance for pest management. To facilitate marketing of Zero Budget Natural Farming produce, participatory guarantee system/third party certification would be adopted. Assistance for internal control system would be provided as per GOI guidelines. The scheme would give a big boost to progressive farming in the state and a major switch over to natural farming by covering all farmers in a phased manner in coming years.